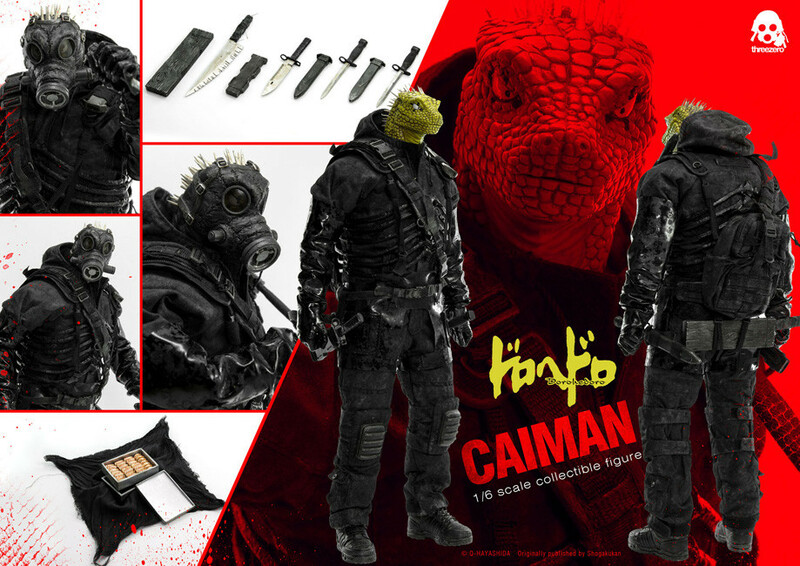 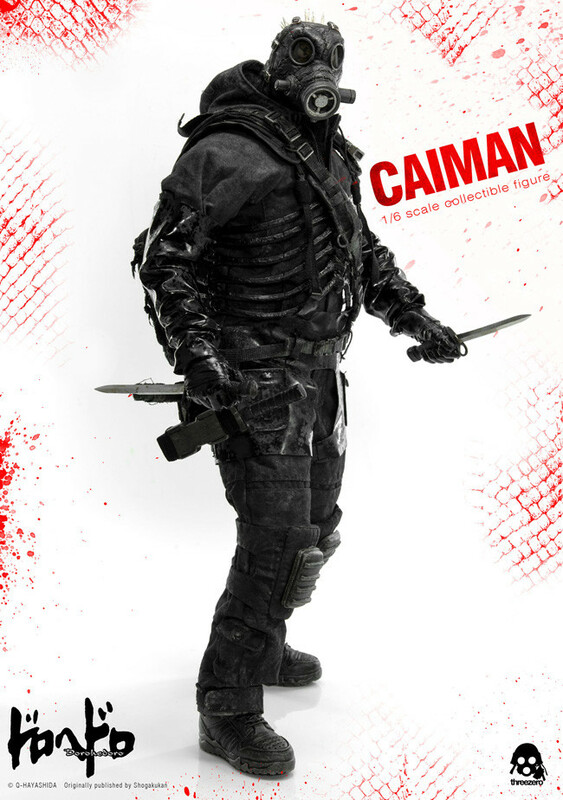 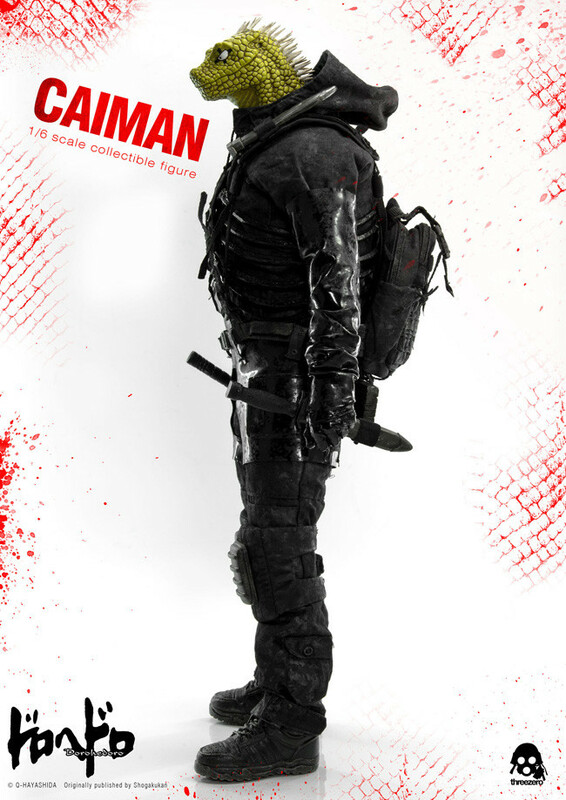 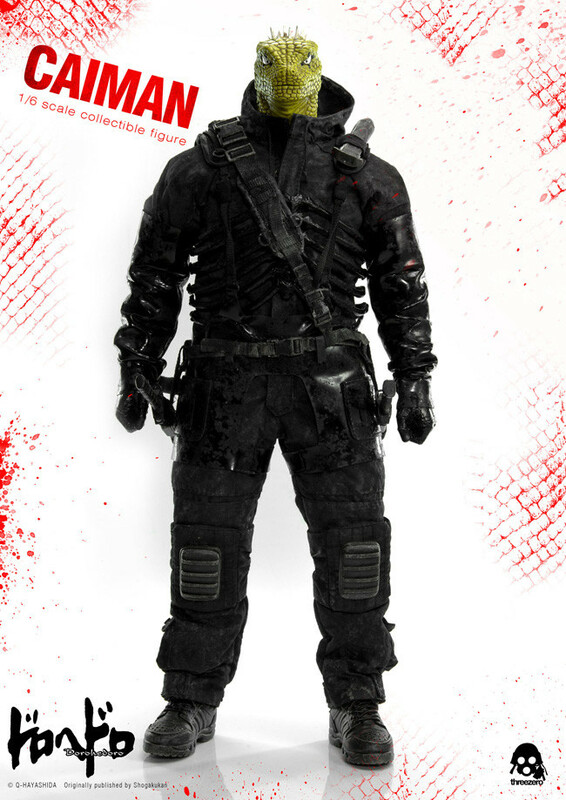 From the dark fantasy manga 'Dorohedoro' comes the first ever action figure of the Caiman! 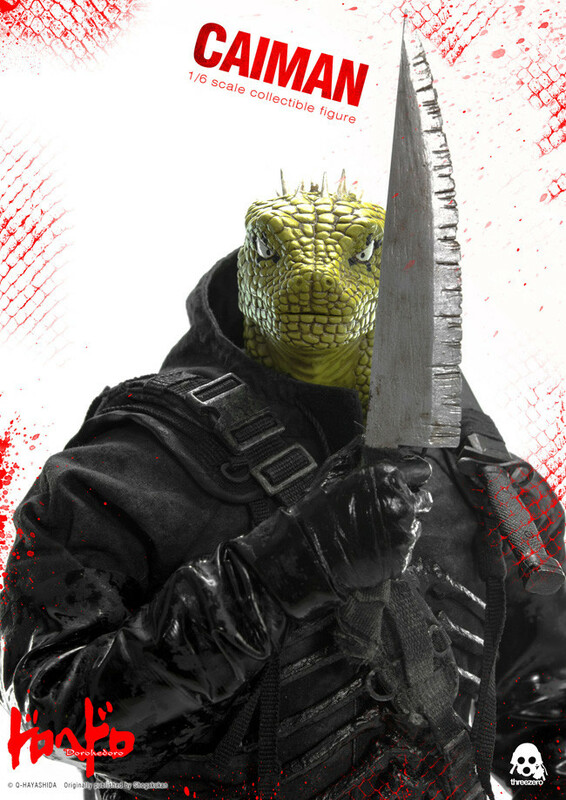 Caiman had his face transformed into a lizard through a spell, but cannot remember anything about his life including how he used to look before the transformation. 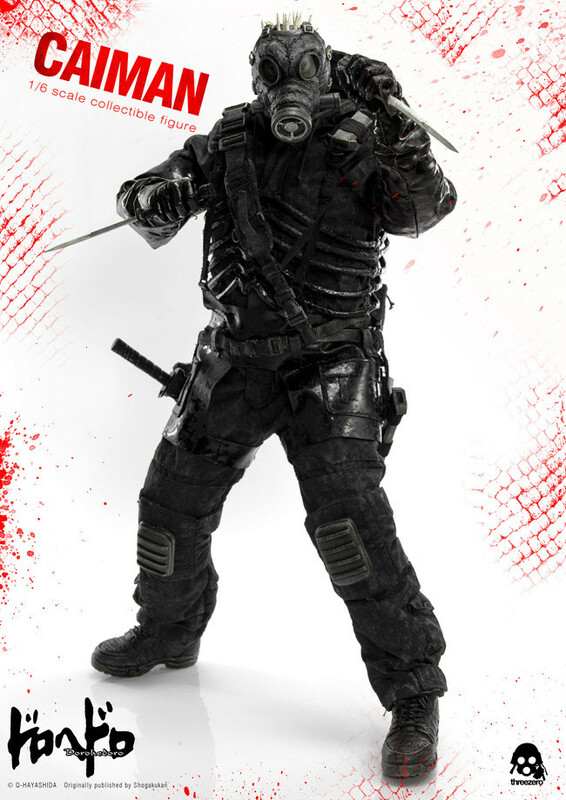 Now he uses his skill with the knife to hunt down magic users and afterwards enjoys a plate of his favorite food - gyoza! 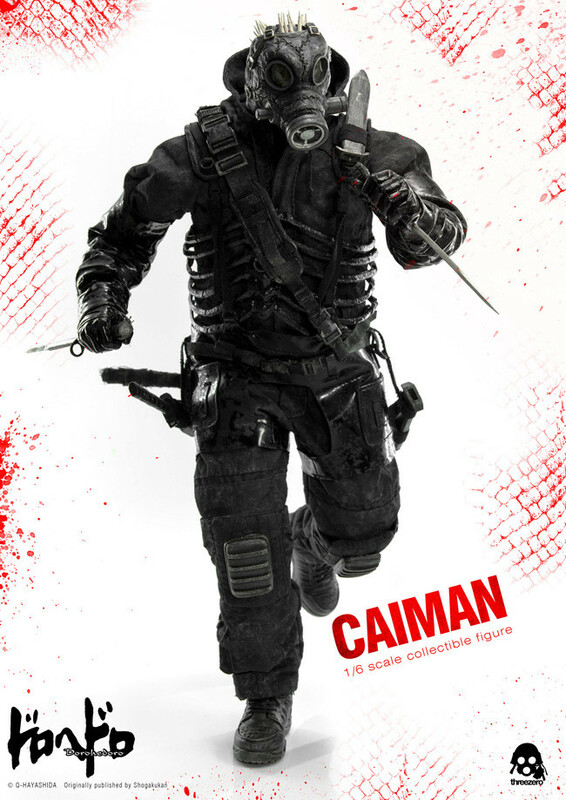 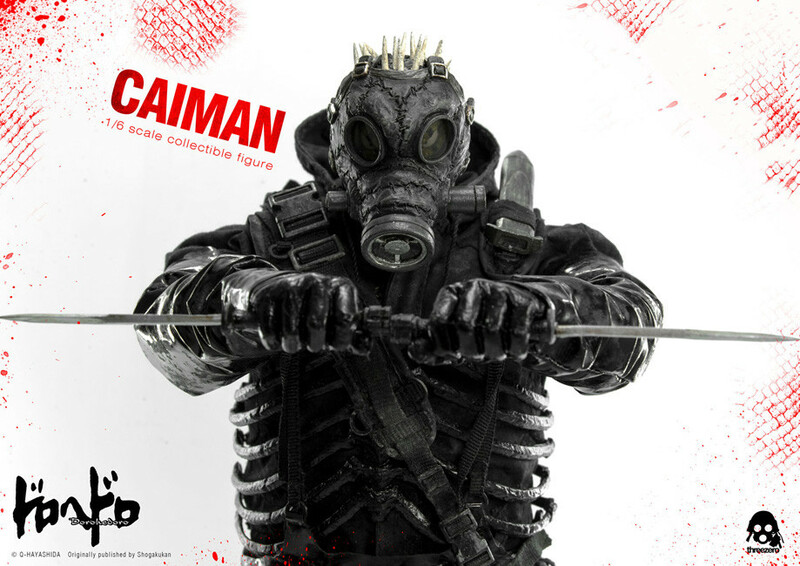 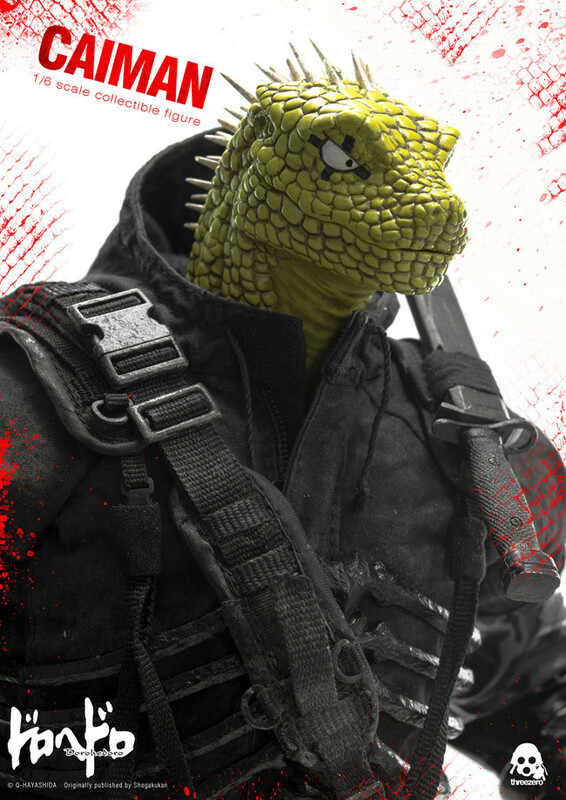 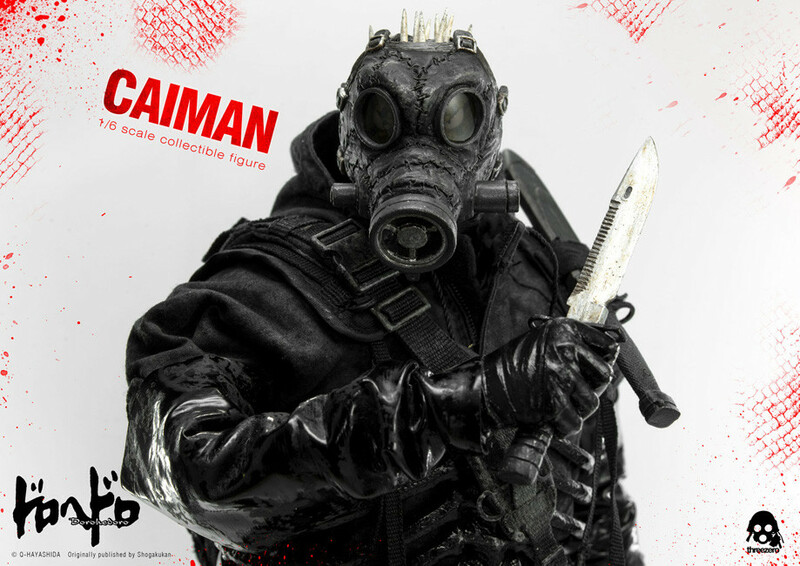 From the dark fantasy manga that has been serialized since 2000 comes the first ever action figure of the main character, Caiman! 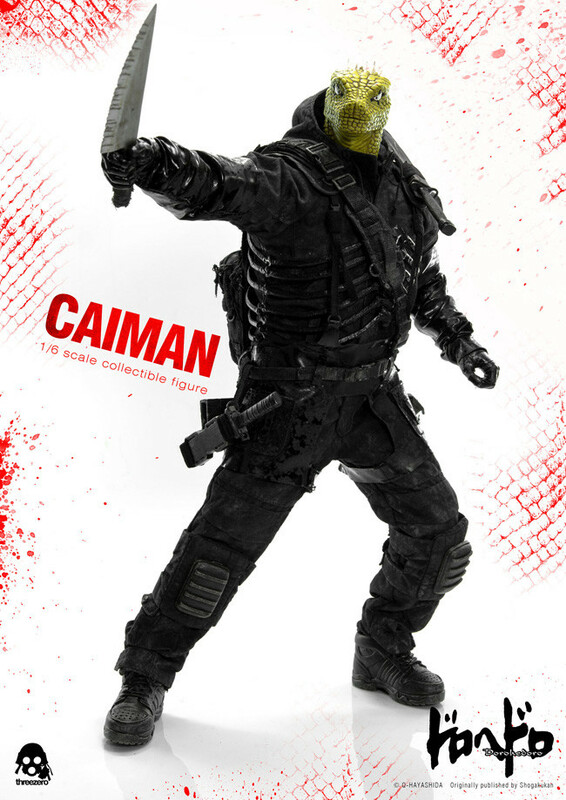 Caiman's character stands over 210cm in height, which means even shrunk down to 1/6th scale the figure stands a huge 36cm tall. 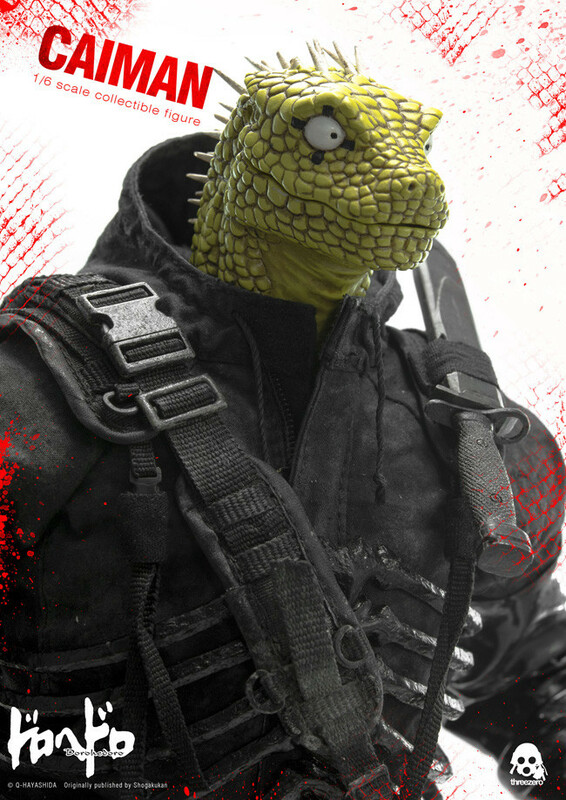 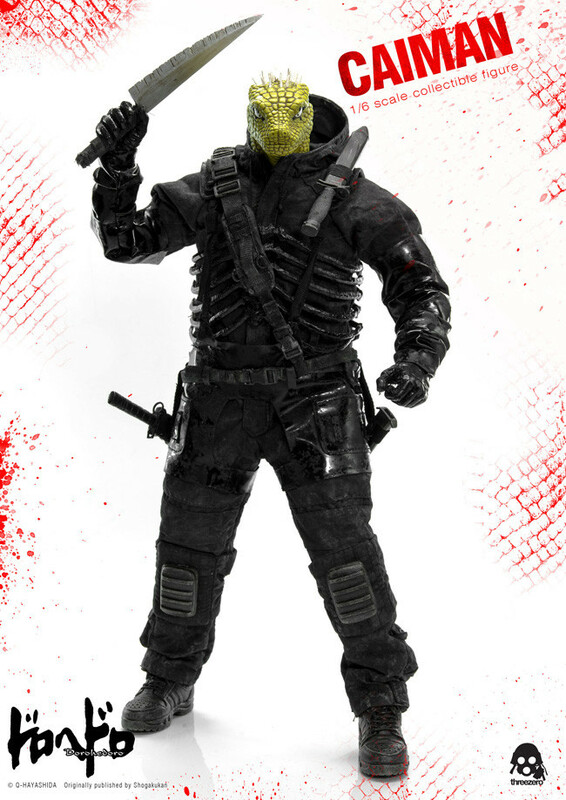 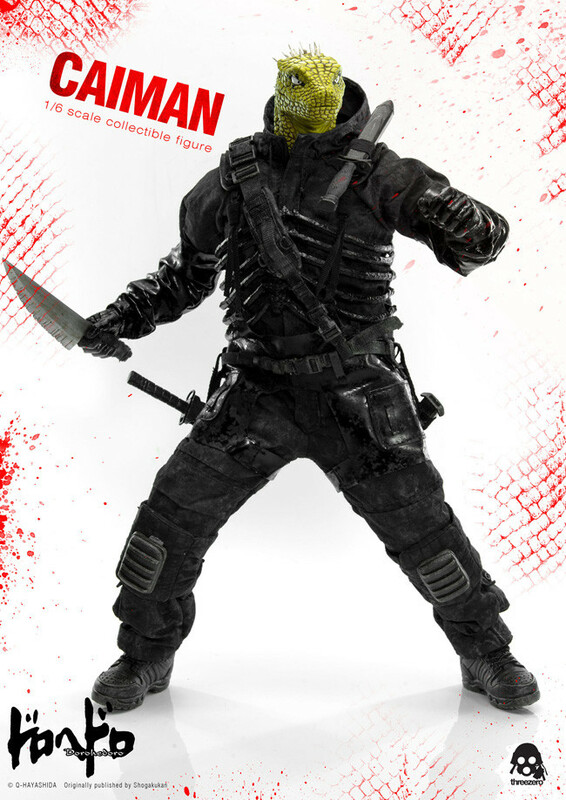 He comes with two different lizard face expressions as well as a gas mask. 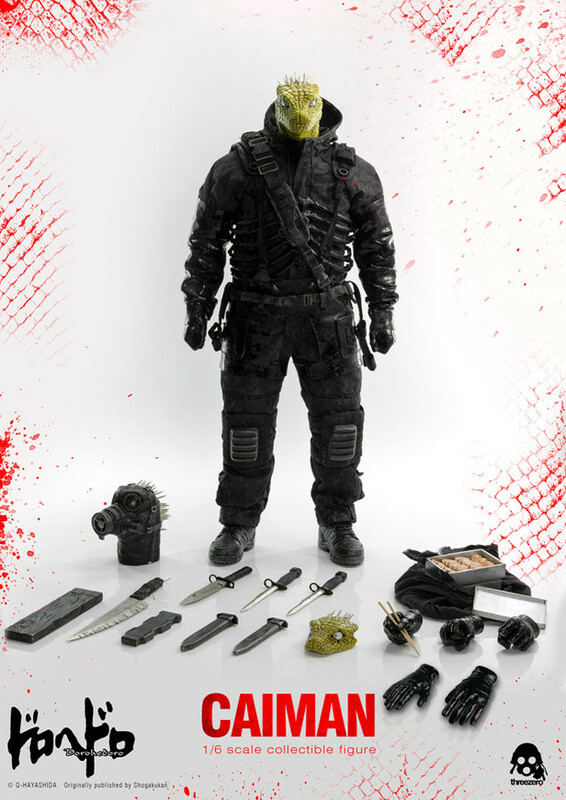 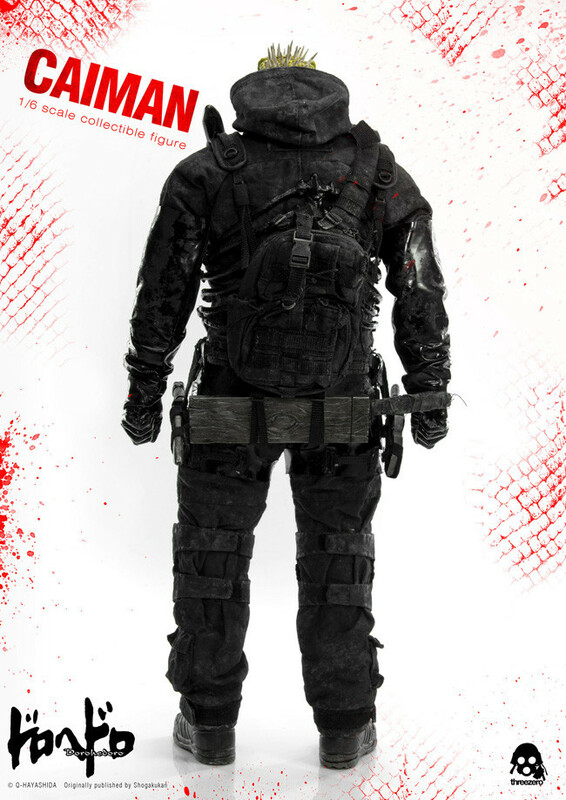 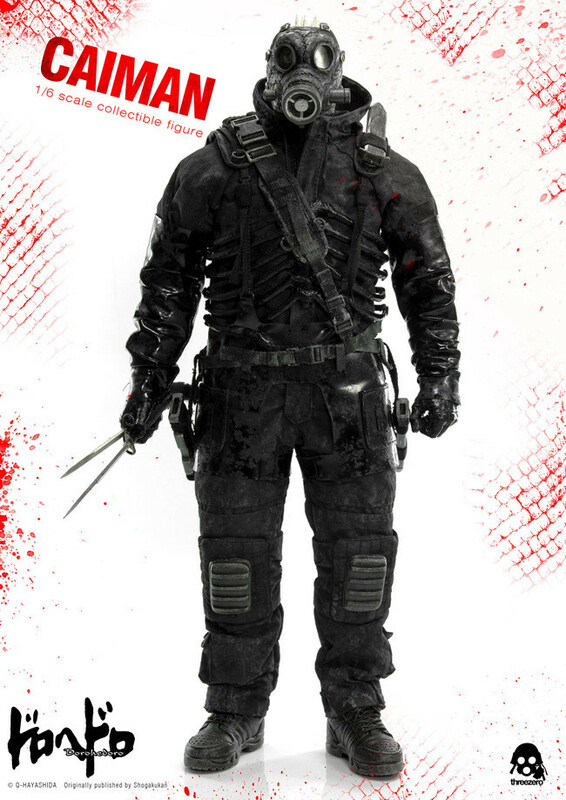 He also comes with a variety of weapons including the store kitchen knife, two M7 bayonet knifes, an M9 bayonet knife and sheaths for all the knifes. 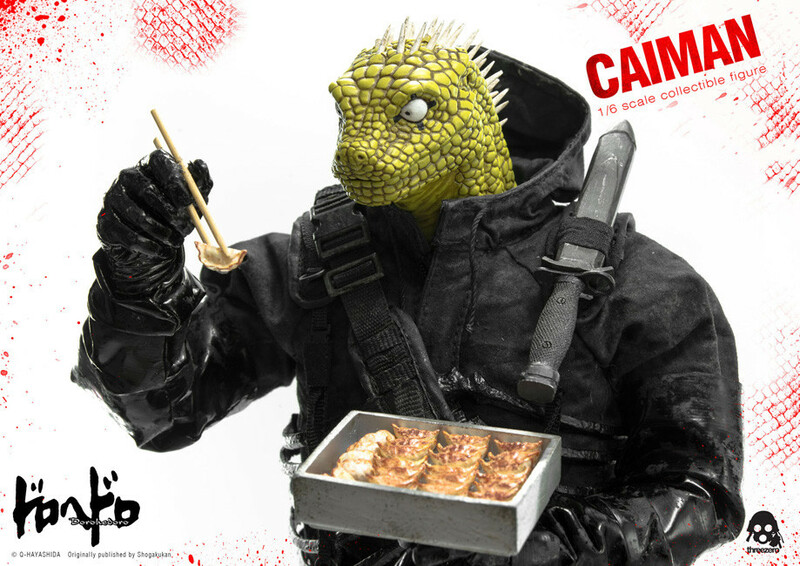 A gyoza bento box is also included, along with fabric to wrap it up in! 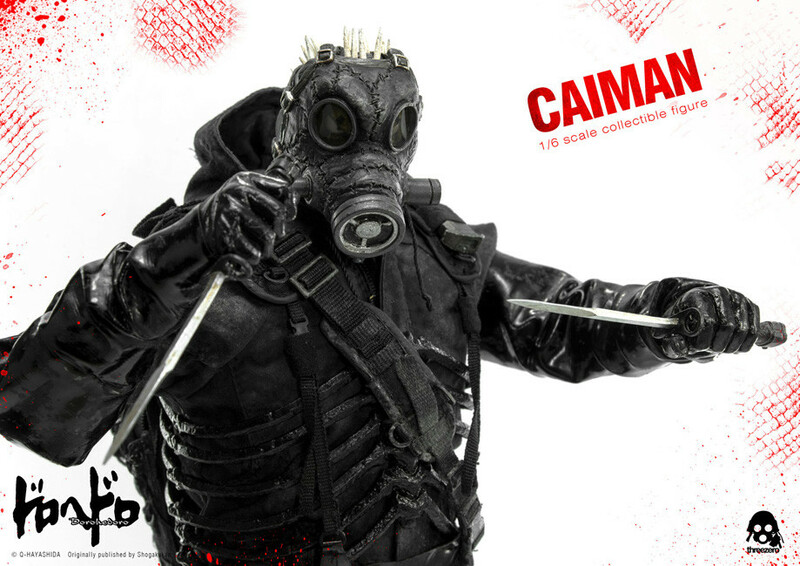 Various different hand parts are also included to pose him holding the various weapons, chopsticks and more! 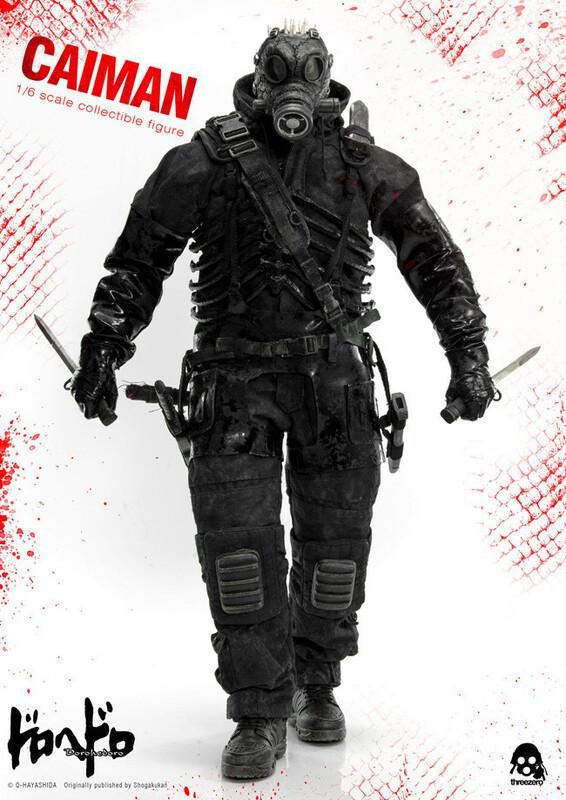 Painted ABS&PVC&POM 1/6th scale figure (clothes made from fabric). 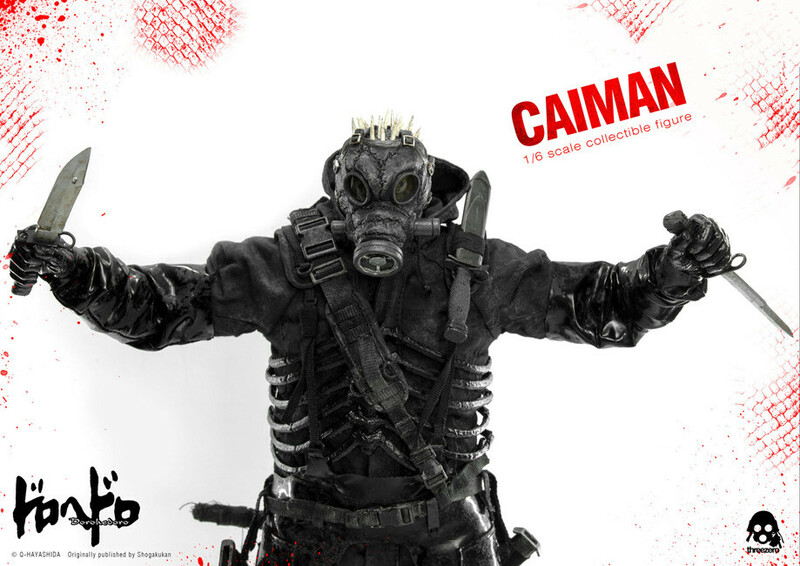 Approximately 360mm in height.